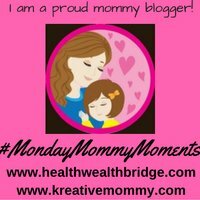 Monday Mommy Moments is my online memory keeper. What I think, feel, do about this interesting Life lesson called Motherhood. Someone once asked what happens on a linky party? We link to each other, that’s good for SEO, but what else? Monday mommy moments we have a brain pool every Monday. We feel the joys, pains, sorrows, challenges, hopes dreams and aspirations of the moms through their writing. On the prompt or without the prompt, I enjoy reading those who link up.It is the best way make online friends. Tangible or intangible friendships matter. Whatever happens in life, it’s because someone somewhere has been kind to you. Don’t forget to read my post linked in the linky on today’s prompt. If I could start my parenting journey what would you do differently? The first #MMM ebook.Co-authored by Deepa, Dipika, Geethica, Anupriya, Ila and me!